These bright modern awards plaques are crafted in jade, blue and silver glass and feature a silver colour laurel wreath frame enclosing a 1in centre. 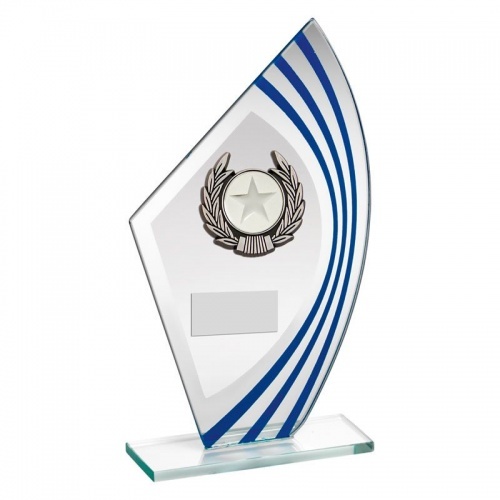 They also include a silver colour engraving plaque and are offered with both text and/or logo engraving options. Available in three size options.